The symphony met with worldwide success, and remains one of the most frequently performed. In many ways Dvořák broke new ground here, and proved that he was far more than a simple Bohemian musician. He opened the ears of musicians and audiences to Indian folklore and the melodic treasury of black Americans. While certain particularities were inspired by Indian music, the work’s themes are all original Dvořák creations. One might almost call the work a symphonic poem with the title “With Hiawatha through Bohemia’s fields and groves”. The Bamberger Symphoniker, with their characteristic dark yet glowing sound, are perfectly at home in this universe. By a stroke of luck, Robin Ticciati, the rising star in the latest generation of conductors, is particularly sensitive to this lyrical yet impulsive idiom. His performances have an irresistible energy, without ever concealing Dvořák’s undercurrent of melancholy. 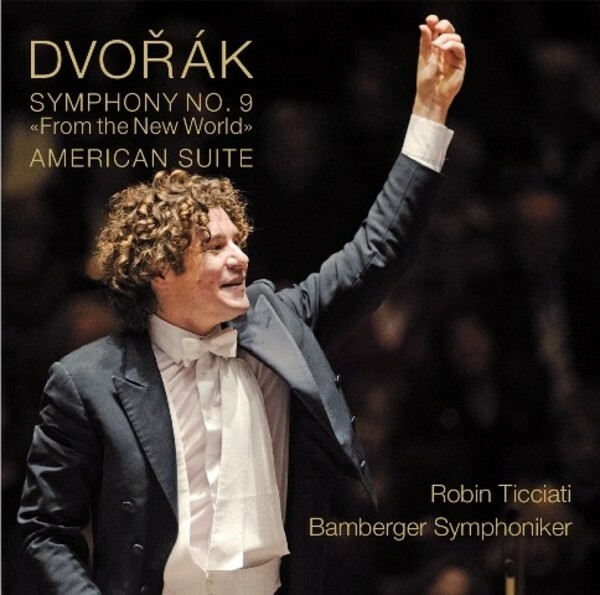 Here, as in the 'American Suite', Robin Ticciati and the Bamberger Symphoniker can be said to have rediscovered the 'New World'.